New firms are believed to have high closure rates and these closures are believed to be failures, but two U.S. Census Bureau data sources illustrate that these assumptions may not be justified. 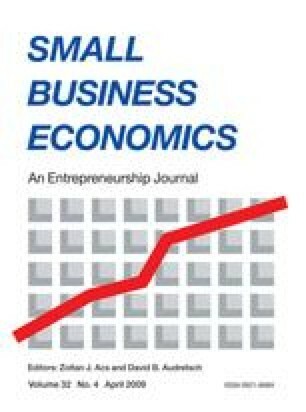 The Business Information Tracking Series (BITS) showed that about half of new employer firms survive beyond four years and the Characteristics of Business Owners (CBO) showed that about a third of closed businesses were successful at closure. The CBO also made it possible to compare results of models of business survival and business success, but because of non-response bias logit models were used. Similar to previous studies, firms having more resources – that were larger, with better financing and having employees – were found to have better chances of survival. Factors that were characteristic of closure – such as having no start-up capital and having a relatively young owner – were also common in businesses considered successful at closure. Hence, few defining factors can be isolated leading to true failures. The significant proportion of businesses that closed while successful calls into question the use of "business closure" as a meaningful measure of business outcome. It appears that many owners may have executed a planned exit strategy, closed a business without excess debt, sold a viable business, or retired from the work force. It is also worth noting that such inborn factors as race and gender played negligible roles in determining survivability and success at closure. 1.Office of AdvocacyU.S. Small Business AdministrationWashingtonU.S.A.